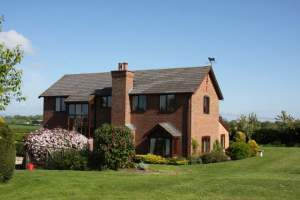 The Hoo Farm offers comfortable accommodation in the beautiful Gloucestershire vale of the River Severn, just two miles from the centre of Tewkesbury. 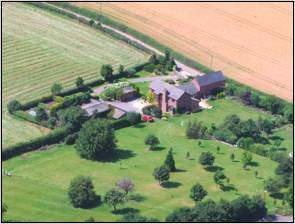 Set in open farmland, the grounds extend to six acres and from all aspects of the house there are attractive views of peaceful countryside. 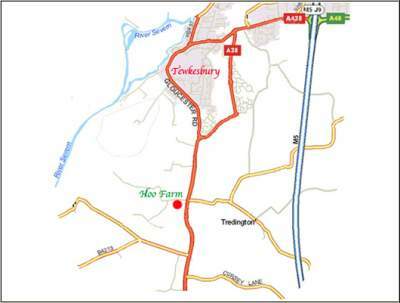 Within minutes of Junction 9 on the M5 The Hoo Farm is ideally situated to provide a centre for touring the Cotswolds, Wye Valley and Severn Vale as well as being within easy reach of the tourist centres of Oxford, Bristol, Bath and of course, Stratford on Avon. Worcester, Cheltenham and Gloucester are within easy reach. The Hoo Farm is no longer a working farm although there are poultry and peafowl. Most of the property was rebuilt in the early 1990s in spacious, traditional English style but one wing is housed in an early 19th century barn with a wealth of oak beams. 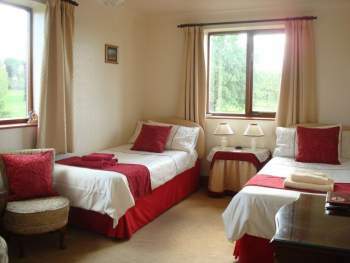 The whole is comfortably furnished in period style with comfort being the main priority. Two and a half acres of the land were planted with woodland trees about twenty five years ago and there are winding pathways through this growing plantation. There is ample off-road parking. The Barn Suite contains an entrance porch, a stone floored dining room, a ground floor twin bedroom and a galleried sitting room. A private shower room is adjacent and the whole suite of rooms has its own front door ensuring complete privacy whilst still being connected to the main house. 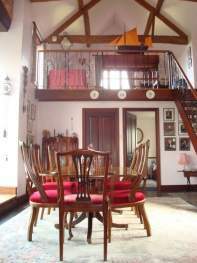 There are oak beams and antique furniture. 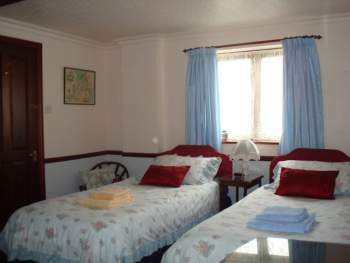 There are tea and coffee making facilities, hairdryer and digital TV with Freeview and CD/DVD players in all rooms. A small child's bed is available on request. 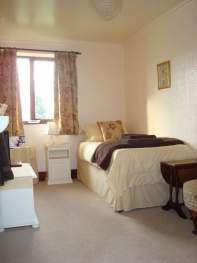 The twin and adjacent single rooms are on the first floor of the main farmhouse and share a bathroom. Breakfast is served in the farmhouse kitchen before 9.30 a.m. and, given sufficient notice, special diets can be catered for. The Hoo Farm proprietors pride themselves on the excellence of their traditional farmhouse fare, which, where possible, is always made from fresh, local produce. The aim of the proprietors is to make guests feel that they are visiting friends in the country. The hospitality is warm without being intrusive and guests' comfort is paramount. Why not visit the Hoo Farm Homepage?